Photo of: Midlands of Ireland: Tipperary: Lough Derg. 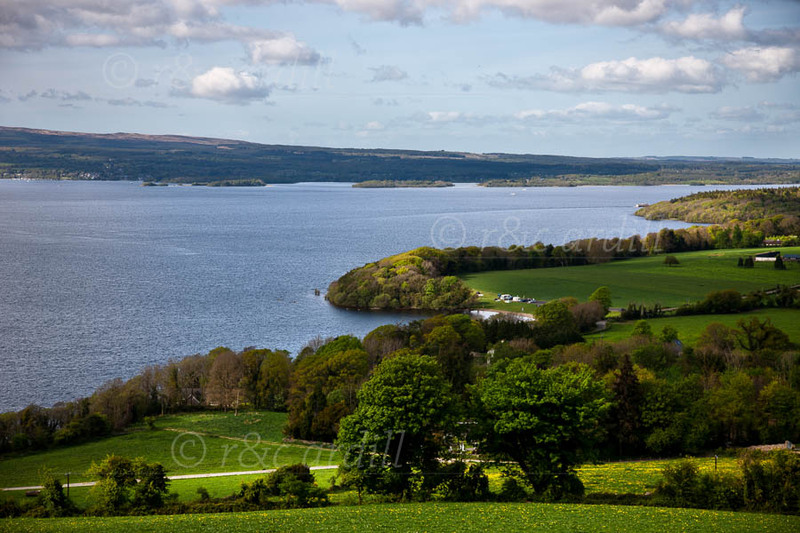 This is a view of the southern part of Lough Derg, between the towns of Nenagh and Killaloe. The image was taken on a lovely April afternoon. Lough Derg is one of the many beautiful lakes on the Shannon. It has many islands, some of which can be seen in the background. The lake shore is wooded with native deciduous trees and there are lovely villages all around the lake.